Inspector Gadget must have a digital hearing aid. A far cry from 17th-century ear trumpets, digital hearing aids were first introduced in 1987 and have quickly come to substitute analog devices and dominate today’s hearing aid market. According to the American Speech-Language Hearing Association (ASHA), more than 20 different digital hearing aid manufacturers have established their presence in the US. While newer isn’t always better, a closer look shows that digital hearing aids beat out the analogs in both form and function. What exactly makes a hearing aid “digital” anyway? Analog hearing aids basically take sounds and make them louder, just as cupping your hand behind your ear amplifies sound. Some analog hearing aids include a programmable microchip, but the functions are relatively basic. On the other hand, digital hearing aids take in sound waves (in itself an analog signal, for the techie folks out there), translate it into digital format (read: loads of 1’s and 0s), process, filter, distort, amplify and ultimately deliver a sound signal into your ear canal that is custom-tailored to your needs. In order to perform all these wonders, digital hearing aids contain a so called Digital Signal Processor (DSP) chip. Digital hearing aids are excellent multitaskers. These tiny tools can simultaneously perform a variety of sound processing tasks. In one important function, the hearing aid quickly distinguishes between speech-sounds and noise. As such, the hearing aid amplifies speech while reducing noise. As analog hearing aids amplify sounds less discriminately, a lot of noise can get in the way of a good conversation. Digital hearing aids can be programmed with a software to suit your unique hearing needs. Programmable analog hearing aids are available, but digital technology can provide a far greater degree of fine-tuning. Better programming means better sound processing in multiple sound environments – from a quiet library to a noisy restaurant. In addition to wider programming options, digital hearing aids have the capacity for extra features, such as Bluetooth and telecoil technology. Feedback reduction is one of the greatest advantages to digital hearing aids. In the same way digital hearing aids can distinguish between sound and speech, these nifty little devices can anticipate and reduce feedback. Digital technology allows the hearing aid to minimize or completely cancel out any detected feedback, so you can avoid onerous whistling sounds. As digital processing power continues to evolve exponentially, this means that laptops, cell phones and digital hearing aids are all getting smaller as well. To see just how sleek these hearing aids can look, check out in the canal Uno hearing aid, which contains the power of digital technology in a dime-sized device. Drawbacks to Digital Hearing Aids? While pretty much every source will attest to the superiority of digital devices, everyone also has the same complaint: the high price. But as a top-notch provider of digital hearing aids, Audicus Hearing Aids brings you high function at a low cost through its novel delivery method. Read more about the prices of digital hearing aids. I too, don’t like digital hearing aids!!! I just bought it. NOTHING like Analog!!! Speech not clear. I have such a hard time hearing well with digital. My tech tried everything. I’m not happy & stuck with the digital hearing aid!! I’m going to try E-bay..if its in there. I’m going to get it!!! I agree wholeheartedly with the other comments here. Digital Hearing Aids are rubbish. I have tried four different digital models all high end and none performed as good as my analog aid. The processors are not fast enough and sound is quickly distorted, additionally the hearing aid manufacturers quote ‘Digital hearing aids focus on the sounds important to you’. They don’t know what sounds are important to me. I like to hear the rustle of leaves as I walk through the woods, the crowds singing at football games, and music at concert halls etc. but these sounds are suppressed by digital aids as unimportant. The suppression of sounds makes your whole environment like you’re sat in a soundproof booth. Your own voice is also suppressed which totally alienates you in conversations as you can’t judge the volume you need to speak at. I could go on all day about the negative aspects of digital hearing aids, let’s get the analog aids developed more and let the hearing impaired have the quality of hearing the manufacturers promise. Hi, I think that Analog is better than digital.. I am Profoundly deaf also… I try both of digital and analog… But analog win the race… It is because we also need to touch the natural sound which only possible in digital…. When someone speak loudly, we can understand someone feeling but in digital, all sound are same volume and same waves……. Sorry but you are wrong! Analog wins hands down. I’m profoundly deaf and to be honest, Digital hearing aids are utter garbage! 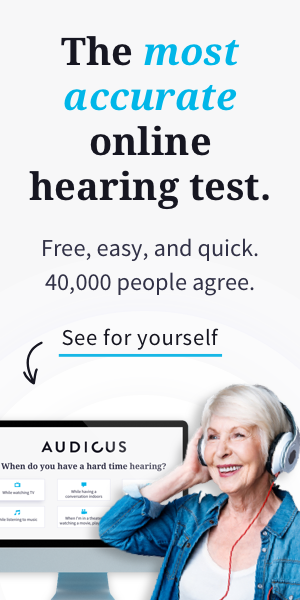 I challenge anyone to take the test, try an Analog hearing aid and then try a digital one. Over 90 percent of people if they had a choice( If Analog hearing aids were still made)would pick an analog hearing aid and the reason is nothing can replicate the clear crisp loud amplified sound an analog hearing gives. Digital is not even in the race. Analog hearing aids give a person close to normal hearing experience while digital hearing aids are like sticking your head under water and trying to listen to someone speak. Don’t work I’m afraid! I urge everyone who needs hearing aids to boycott their hearing centers and by analog units off eBay, maybe then manufactures will get the message we don’t want this digital crap and will start making analog again. Hell maybe I should I go in business and start producing analog again, reckon I’d make a million or two over night with demand for them.